Posted on January 5, 2015 | Comments Off on Breaking NEWs in RAdio- Exceptions To The Rules Radio Show May Be On The Rise – These Communities Need it for sure. 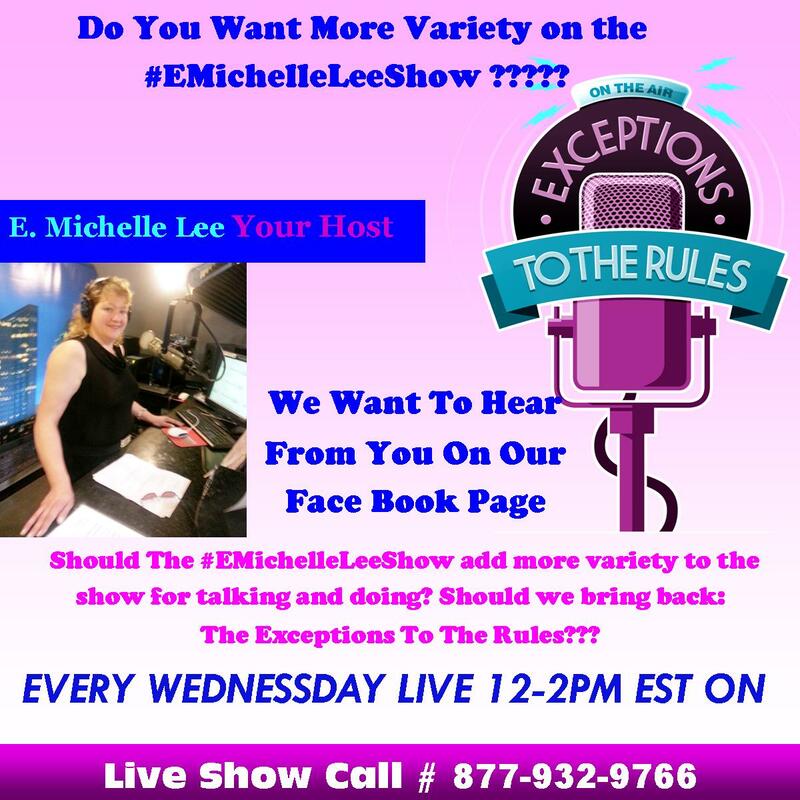 This entry was posted in Business, Exceptions Radio Show, Exceptions RESOURCE ALERT, Give Back 2 Pay Forward and tagged 2015 Story E. Michelle Lee Radio Show Host, Bringing America Home, Exceptions To The Rules Radio Show, Will These Two Radio Shows Combine?. Bookmark the permalink.